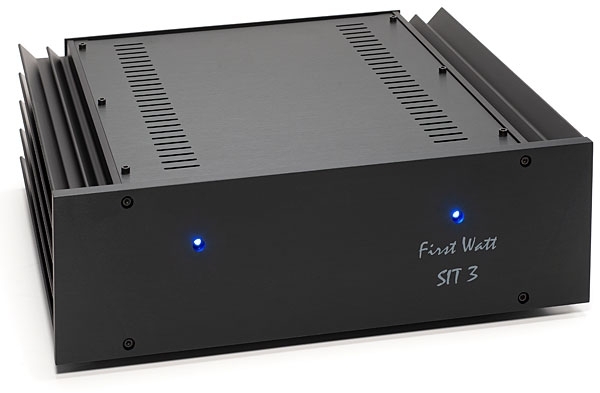 I am obliged to begin this review of First Watt's new stereo power amplifier, the SIT-3, with an explanation of how I believe a power amplifier should be reviewed. Why? Because the 18Wpc SIT-3 is a unique and historically important design that can't be wired up to just any loudspeaker and then critiqued on the basis of its bass power, treble brightness, or midrange acuity. Years ago, a reviewer friend said, "Herb, I don't review loudspeakers." "Because my speakers are too heavy to move." "So then? 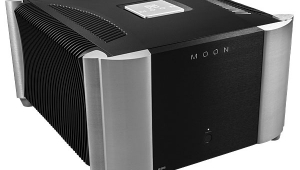 You don't review amplifiers, either?" "No," he said. 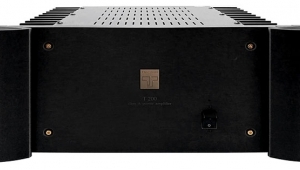 "I love reviewing amplifiers." 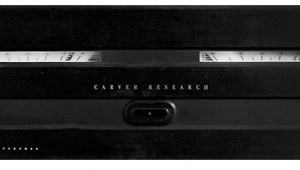 When I asked how he could review amplifiers with only one pair of speakers, my friend told me that his very expensive loudspeakers were of "certified quality" and were "easy to drive," and that "any amplifier that couldn't drive them was really not suitable for serious audiophile consideration." I told him that that sounded slightly irrational. "You mean, if the amplifier you're reviewing sounds soft, or distorted, or hard and glassy driving your loudspeakers, it gets a bad review?" "Yep. Like I said, my speakers are easy to drive." I looked up the measured performance of my friend's speakers. They did indeed exhibit a high voltage sensitivity of 91dB(B)/2.83V/m, which meant he could (theoretically) make high-volume sound with only a few volts. Except for the fact that this speaker's impedance remained below 3 ohms for almost seven full octaves, from 55Hz to 6kHz! At 3kHz, it was only 1.5 ohms. Easy to drive? I'm telling you about my friend's reference speakers because the amp I'm about to describe might not sound too authoritative while driving them. 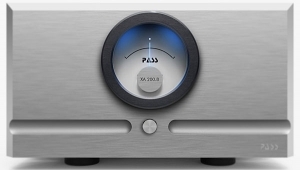 My beloved associate would likely find fault with the First Watt SIT-3 ($4000)which, to my way of thinking, would be a grievous disservice to its designer, Nelson Pass. 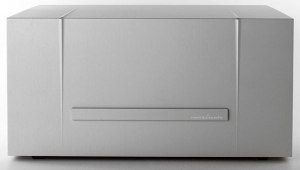 Because when the SIT-3's dancing partner is a compatible pair of speakers, it's one of the two or three finest-sounding amplifiers I've heard anywhere, at any price. Which is why I think the most important question an audio reviewer must explore is: What constitutes a compatible loudspeaker for the amplifier being reviewed? The SIT-3 is the third, and possibly the last, in Nelson Pass's series of First Watt designs using a run of special transistors that Pass personally commissioned from SemiSouth Laboratories, now defunct. 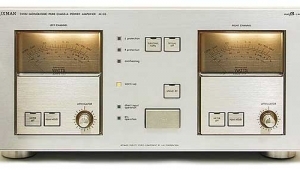 For just a few years, in the mid-1970s, Yamaha and Sony built perfectionist-quality audio amplifiers using a type of Japanese-designed JFET (Junction Field-Effect Transistor) called the Static Induction Transistor (SIT). These so-called VFET (Vertical Field-Effect Transistor) amplifiers are still very highly regarded. According to the abstract of inventor Jun-ichi Nishizawa's 1972 patent, as quoted on First Watt's website, "SIT's drain-current to drain-voltage characteristic simulates the anode-current to anode-voltage characteristic of the triode vacuum tube very closely." 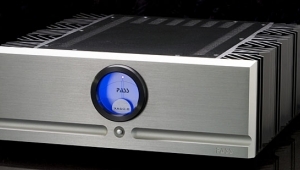 Per Nelson Pass on the same webpage, "Recently there has been renewed interest in SITs, partly because two audio companies have stepped up to the plate and spent the money required to fabricate new devices suitable for audio power amplifiers. 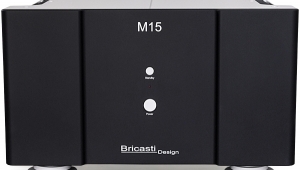 The first of these is Digital Do Main in Japan, which has produced two audio amplifiers based on newer versions of original Yamaha Silicon parts. The other is First Watt, which arranged for a production run of a new SIT device using a newer Silicon Carbide process by SemiSouth." 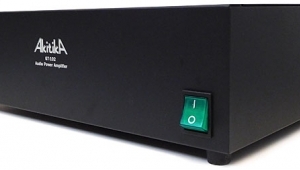 "The SIT-3 is the very latest example of single-ended/single-stage class-A amplifiers using the SIT (aka VFET) power transistor exclusive to First Watt. 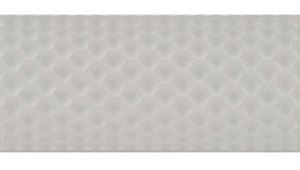 It is preceded by the successful SIT-1 and SIT-2 and very much follows their technical philosophy and construction. "There is a key difference in the new SIT-3, which is that the Static Induction Transistor (SIT) that forms the heart of the circuit is operated in an entirely different mode, what is known as Common Drain Mode. . . .
"The channels of the SIT-1 and SIT-2 consisted of a single SIT operated in Common Source Mode in which (conceptually) the signal comes into the Gate and appears amplified at the Drain pin, but phase inverted. The Source pin is grounded. The amplification with Common Source operation is both voltage and current, and the phase inversion is corrected by reversing the output terminals. "The SIT-3 goes in another direction, using Common Drain operation, where the signal goes into the Gate pin and comes out the Source pin and the Drain of the FET is grounded (literally attached to ground). This mode only provides current gainthe voltage gain is provided by a high quality voltage step-up transformer which takes the input signal from a preamplifier (or other device) and boosts the voltage. It has no phase inversion. 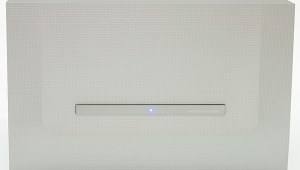 "In both approaches, the SIT does a good job of amplifying the signal without feedback, but Common Drain operation delivers the amplification with much lower distortion and noise and also a much better damping factor for the loudspeaker. 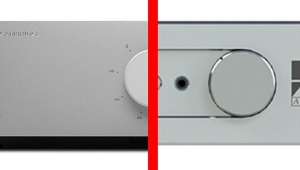 "The trade-off is the addition of the input transformer, but I think you will find the compromise there is small with respect to the sound quality achieved. "Common Drain has the same simple spectral distortion character that graced the SIT-1 and SIT-2, and allows similar control of the amplitude and phase of the second harmonic content, but at a much lower distortion figure. [footnote 1] . . .
"If like me you find 18 watts is enough power, then I think you will find that this is a really delightful amplifier . 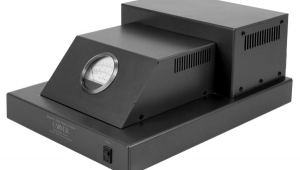 . .
"It has less gain than the amplifiers you are used to [11.5dB vs 25dB+ for most ampsHR], but you can clip the output with about 3 volts. . . .
"The SIT-3 has enough damping factor at 30 to work well with general loudspeakers, but it has been designed around relatively high efficiency speakers, those having 88dB sensitivity or greater." 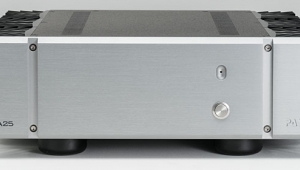 What other mainstream amp designer would create something this original? 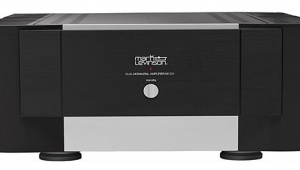 The Harbeth P3ESRs were the first speakers I tried with the SIT-3, and it was immediately obvious how perfectly matched they were in terms of power and load impedance. Their voltage and current love-dance was such a joy to behold that I had to look up John Atkinson's measurements of the P3ESR's electrical impedance and phase, just to see what type of load was making the SIT-3 so happy. I played a wide variety of big and small music through the SIT-3 and P3ESR combination, but I want to tell you about two special recordings: one was simple and stunning, the other was big and s p a c i o u s.
I've never heard a band with an accordion that I didn't like. Nor have I ever heard a record by accordionist and experimental electronic artist Pauline Oliveros I didn't want to play over and over. In 1962, with Morton Subotnick and Ramon Sender, Oliveros founded the San Francisco Tape Music Center. I like her because her musical theory advocates "deep listening" and "sonic awareness," as well as learning to listen "alertly and constantly" (aka "always be listening," footnote 2). I aspire to blur the line between our experience of music and the quotidian. Playing Oliveros's The Fool's Circle, from her collection Crone Music (16-bit/44.1kHz FLAC, Lovely Music/Tidal), with the First Watt SIT-3 driving the Harbeth P3ESRs, made Oliveros's large piano accordion sound solid, air-filled, real, and glowing. Compared to the Pass Labs XA25 driving the same speakers, the SIT-3's top two octaves and the harmonics therein seemed soft or reduced in energybut the recording venue seemed radically enlarged. I felt I could measure the added reverb. I thought I could feel the air moving in and out of her instrument. Footnote 1: For a detailed explanation of what Nelson Pass means by "control of the amplitude and phase of the second harmonic content," see my "Gramophone Dreams" elsewhere in this issue. Footnote 2: Heidi Von Gunden, The Music of Pauline Oliveros, p.105. Scarecrow Press, 1983. Off to bad start?, not quite click-bait but compelling. Well, ok, this seems a thinking man's Amplifier with plenty of personality. ps. how'd this thing do with Steve G's Klipsch "loud"-speaking" speakers? how'd this thing do with Steve G's Klipsch "loud"-speaking" speakers? The answer to that question will be found in the April issue of Stereophile. ... the level of second harmonic distortion is barely -45dB below the fundamental can be deemed to "preserve the geometry of the original harmonic relationships better than any amp I can remember"? Wouldn't an amp that adds as little harmonic distortion as possible, such as the Benchmark AHB-2, do a far better job of preserving the geometry of the original harmonic relationships? When Herb writes " I felt I could measure the added reverb. I thought I could feel the air moving in and out of her instrument.". I wondered why he didn't include an actual measurement to back up this "feeling". Next his thought that he could "feel the air moving in and out of her instrument" sounds like pure unadulterated mystical hyperbole. Really? Less hyper-hyperbola please. music "feels and sounds" to the individual reviewers, you shouldn't be reading Stereophile or the Absolute Sound, or Hifi News and RR etc. etc. That type of description is WHY we read these publications and websites. Sometimes light is shed on the subjective response by John A's fact checking measurements but not all of it. So we take these written feelings and if they sync with how you like to feel and hear recorded music you add said equipment to your list of pieces to audition. If you want a measurement to back up every comment, you're wasting your time reading audio reviewers. In fact, that's like asking for a chemical analysis of every morsel of food should a food magazine say you're wasting your time with $5 a bottle Extra Virgin Olive oil compared to $20a bottle. I'm sure there are people who feel that the more expensive olive oil is a waste of money" as "taste" is a subective thing. Ditto with more expensive wines. "Sound" familiar ? According to johnnythunder readers of the mags he quoted only want how a product "feels and sounds With that as the ultimate criteria for reading those mags why do the measurements (sometimes ) appear at the end of the reviews? And let's just do away with the technical descriptions as they don't really matter because they tell us nothing informative about how the gear under review will feel or sound like. Maybe -to shore up the how it "feels and sounds like" we should, at the very least insist on All reviewers to post a recent audiologists measurement (the bane of those that worship at the alter of subjectivity)) of the state of their hearing. If this was a Chinese amp I'm pretty sure the usual suspects would be all over those measuremets pointing out it must be garbage. As an aside, relaxing the definition of clipping....why not relax the definition of surface resonance on speakers that have a lot of resonance or any of the other parameters. They are meant to show a standardised approach otherwise, what's the point of them? This amp bombed producing 8.4W at 1% THD distortion. 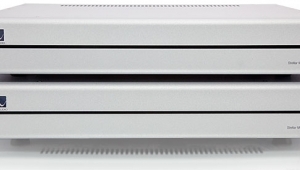 The fact amps like these garner a cult following says more about marketing and human fallacies than anything.